With a conventional appearance and an opportunist position, just on the corner of Darkana and Arrawa, with attributes such as roller shutter carport with drive through access to a large shed, a modern kitchen with stainless appliances, timber-look floors, serene neutrals add softness to each carpeted bedroom (with built-in robes). Walk to Balhannah Junction Shopping Centre, the Olive Branch Cafe, Oakbank Area School, the oval, tennis courts and playground for the fresh and energetic - just the ticket to sweeten the charm of a low-maintenance home in the hills or sitting within easy freeway reach, its position makes Mount Barker and Hahndorf appealing extensions to its rural surrounds, the city (should you need it) asking for just 30 minutes of your time. 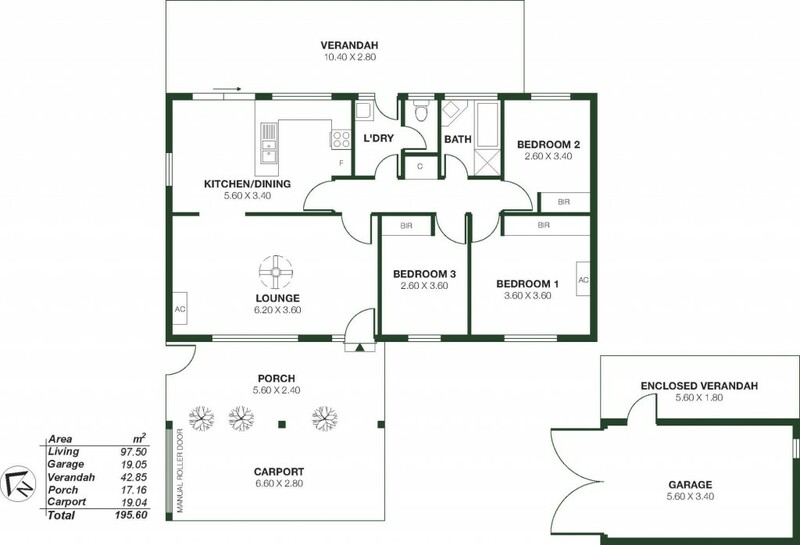 - Good floorplan that will appeal to a number of buyers, note the family bathroom nestles amongst the bedrooms. - Freshly renovated kitchen and bathroom, lease out quick or just move in. - Heating and cooling? There are two reserve cycle split systems, one to the main bedroom and lounge area, also a fan for extra cooling. - Secure roller shutter carport that then leads onto a large shed, for that extra storage for a boat or caravan.